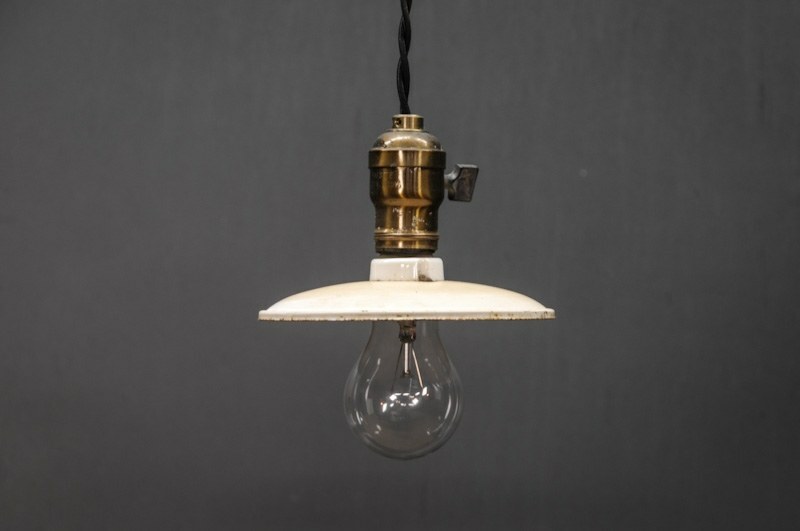 USA, 1930s, Vintage Industrial Edison Mini Porcelain Pendant Lights. 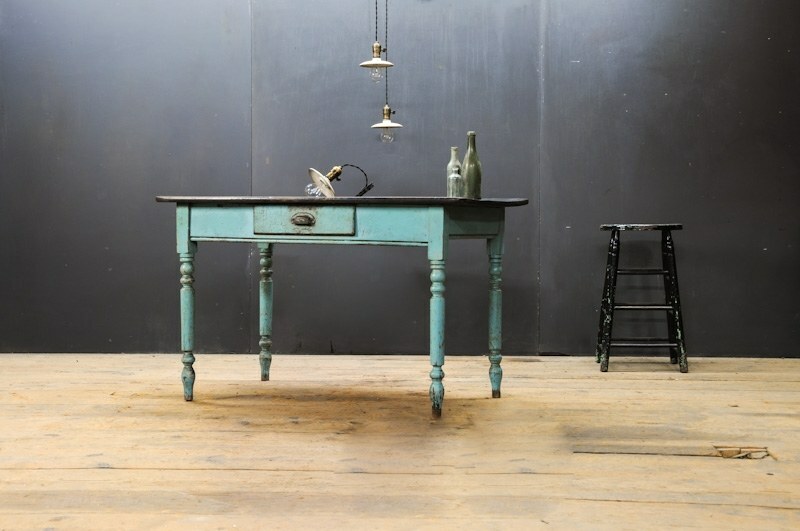 Steel, Porcelain, and Brass Construction. 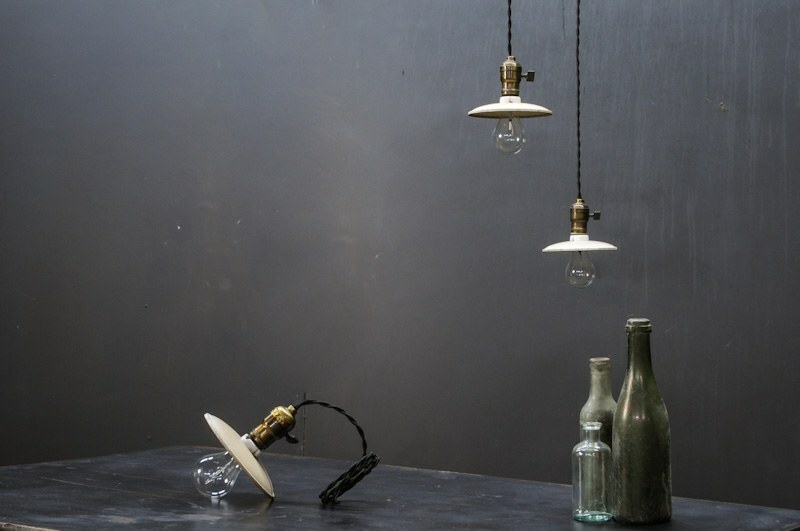 Mini Shade Mercantile Counter Pendants. Fully rewired with 3' of Twisted Cloth Cord and Edison Turnkey Sockets. 8 Available.